Many types of herbs are available in Food Based Formulas as Cranberry, Garlic, Alfalfa, Brewers and Broccoli herbs. Every product is considered to be of benefit for human health. Cranberry fruits and leaves have been used historically for a variety of problems like wounds, urinary disorders, diarrhea, diabetes, stomach ailments, and liver problems. Garlic is used as a supporting treatment for diseases like running cold, saliva formation, chronic bronchitis, respiratory catarrh, whooping cough, bronchitic asthma, influenza, chronic diarrhea, and rheumatism. Garlic can also help the body to fight infections and is also believed by some to help reduce cholesterol, as well as protect against heart diseases and stroke. Alfalfa may also have some ability to enhance immune system function. The seeds of Alfalfa are also used as a folk preparation for supporting asthma or other breathing conditions and have been used as an appetizer and as a diuretic to relieve urinary and bowel problems. Alfalfa may relieve swelling caused by excess water accumulation and some components of alfalfa is believed to act like the female hormone estrogen. Brewer’s yeast has been known to help people who feel fatigued, since many of the B group vitamins present are essential in the release of energy from the carbohydrates in the food we consume. Broccoli contains the phytonutrients sulforaphane and the indo les which have shown to boost liver and skin cells detoxifying abilities. 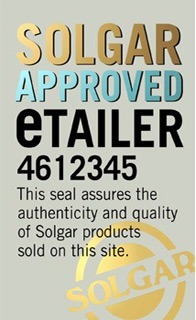 Solgar supplies several different multivitamin supplement products such as Solgar Alfalfa 600mg 100 Tablets, Solgar Brewer’s Yeast Powder 473 Gram and Solgar Broccoli 500mg 50 Vegicaps Capsules.